Grab your friends and your favorite beverages for a fun social sewing event! 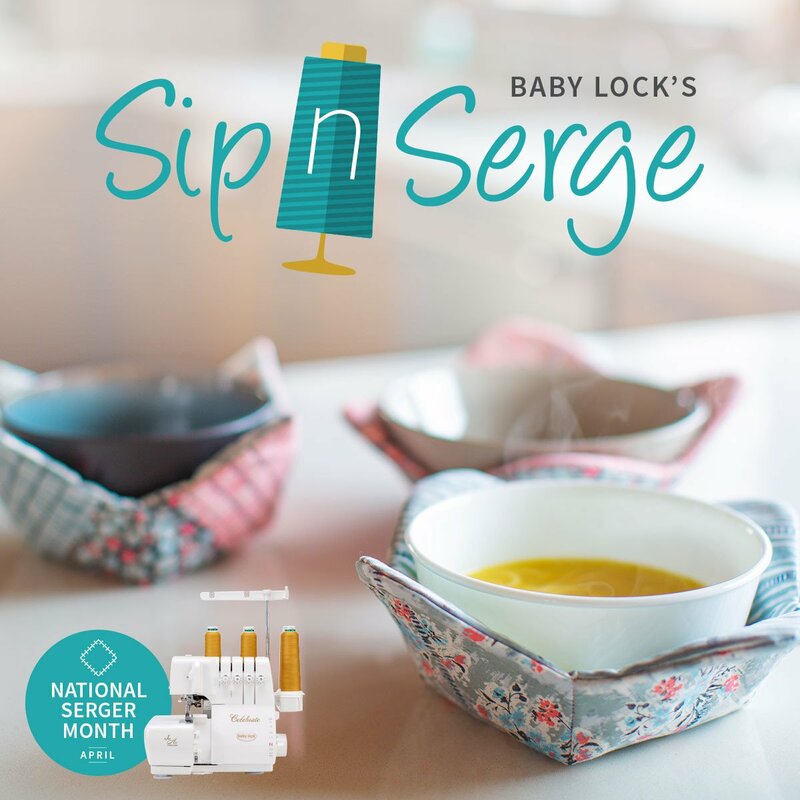 As part of National Serger Month, we’re hosting a Sip N Serge Event where you’ll make a handy microwave bowl cozy to take home with you. Bring your own beverage and we’ll provide you with everything else you need – including the serger, fabric, instructions and more! Contact 740-454-8372 to sign up or for more information or Sign-Up Online now!